Theo Dumont is a well-rounded marketing and PR executive with a deep knowledge and understanding of the entertainment industry. Dumont is the co-founder and co-director of the HollyShorts Film Festival, the largest short film festival in Hollywood devoted to advancing the careers of independent filmmakers through networking events and screenings. For the past 8 years, HollyShorts Film Festival has featured participation from the top filmmakers and artists in the world including: James Caan, Paul Haggis, David Lynch, Josh Brolin, Jessica Biel, David Arquette, Jane Lynch, Jimmy Jean- Louis, Jason Biggs, John Dahl, Darren Lew, Malcolm Barrett, Demi Moore, Kirsten Dunst, Scott Porter, Joel David Moore, Carter Smith, Zachary Quinto, Joe Carnahan and many more and the tradition continues with this incarnation of the most anticipated short film event of the year. Dumont is also the President of Dumont Marketing LLC, an independent strategic communications and public relations consultancy serving organizations and individuals in the entertainment arena. Dumont Marketing’s PR client base includes production companies, filmmakers, authors, independent films, and digital entertainment companies. Prior to finding Dumont Marketing, Dumont was with Miller PR for 3 years where he worked on strategy and counsel for the agency’s premiere clients including the Gersh Agency, Stan Lee, Leslie Grief’s Thinkfactory Media, Oscar nominee Lucy Walker, and Women in Film. Before joining Miller, Dumont was Director of Corporate Communications at MGM Studios, where he executed PR initiatives for various divisions of the company including United Artists, MGM HD, MGM Consumer Products, MGM Worldwide Digital Media, MGM Theatrical Distribution, MGM Worldwide TV Distribution, MGM Networks, and MGM Home Entertainment. Dumont is the publicist for the China Hollywood Co-Production Society, a gathering point to serve the growing mutual interest in creative and business opportunities between Hollywood and China, he also serves on the LA Advisory board of Peace First, a national non-profit organization. With a passion for film and filmmaking since childhood, Daniel decided to move to California in 2000 with an interest in the film business. After working on commercial productions as a production assistant and then acting in various films, he gained an understanding of the filmmaking process. But he also realized that young filmmakers had very little access to industry professionals, and few options for screening their films. And thus, the HollyShorts Film Festival was born. HollyShorts has quickly become the most influential short film festival in Los Angeles, with Daniel guiding it as Festival Director. 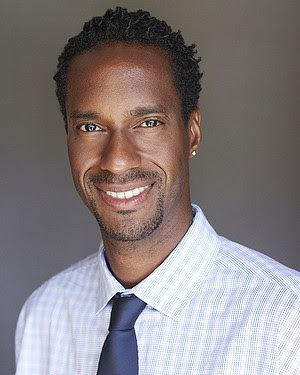 Aside from HollyShorts, Sol also battled daily with domestic exhibitors as a theatrical sales manager at Lionsgate, and in 2008 he produced and starred in the indie feature film NIGHT BEFORE THE WEDDING. Originally from Queens, NY, Nicole received her degree in Production from Emerson College in Boston. After working for VH1 in New York for a few years, Nicole made the move to LA to work at HBO in the Post Production Films Department. While there, Nicole had the opportunity to hone her skills, allowing her the chance to produce a Webisode series (Dwelling) and a few award winning short films(Cherry Waves, Terms of Service, Metamorphosis). Nicole has been a part of the HollyShorts team for the past 9 years and continues to bring her enthusiasm for film, meeting new people and extraordinary multi tasking skills to each year’s festival. Theo Dumont on the Red Carpet with JBN Journalist, Rachel Litfin. Theo Dumont on the Red Carpet at HollyShorts.